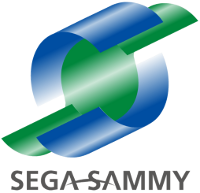 For the first half of the 2012 fiscal year, Sega Sammy Holdings reported revenue losses and increased profits. Sega lost 10% of its revenue, a $1.7 billion loss, while it gained 2.7% in profits, a $48 million gain. Sega also reported that Phantasy Star Online 2 has reached 1 million users, performing better than Sega’s initial estimates. Phantasy Star Online 2 itself is digitally distributed.